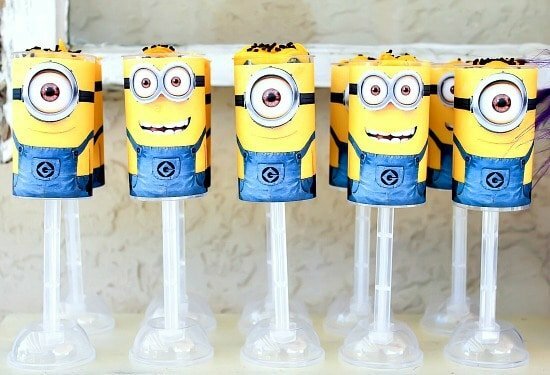 We haven’t seen the movie Despicable Me 2 yet but I’ve been hearing so much about the adorable & hilarious minions that I knew I had to start gathering some clever ideas from some talented bloggers & party designers out there! 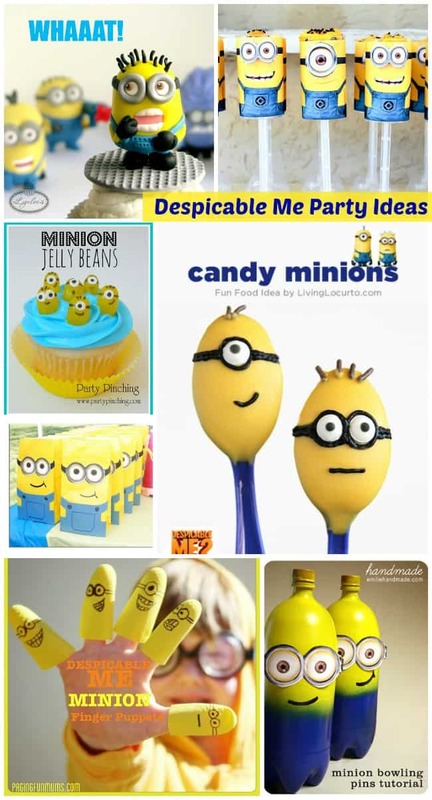 I’m sure there are a lot of kids requesting a Despicable Me party full of minion treats & activities. 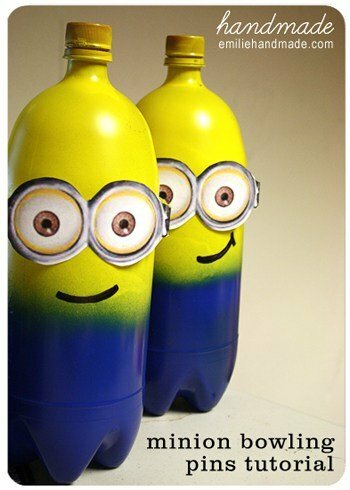 Despicable Me Party Ideas – Cute Minions! 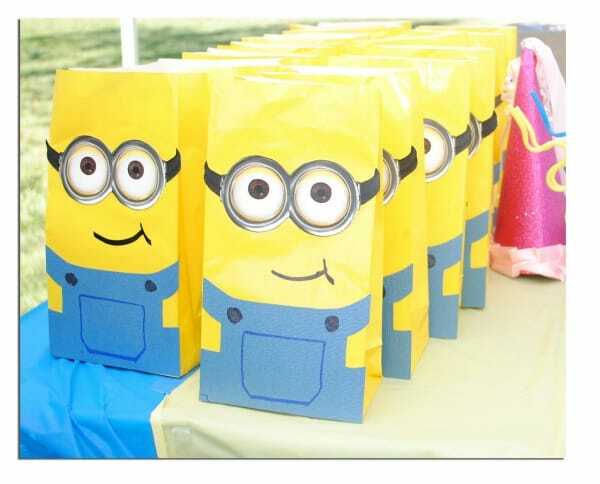 These homemade minion favor bags on In Every Little Moment are absolutely adorable! She has a tutorial to help readers make their own as well. 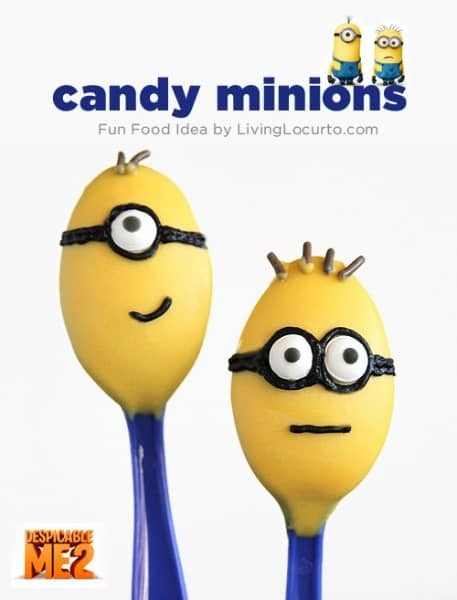 I love these Candy Dessert Minion Spoons by Living Locurto plus she shares an easy to follow tutorial so you can make your own. Your kids will love these! 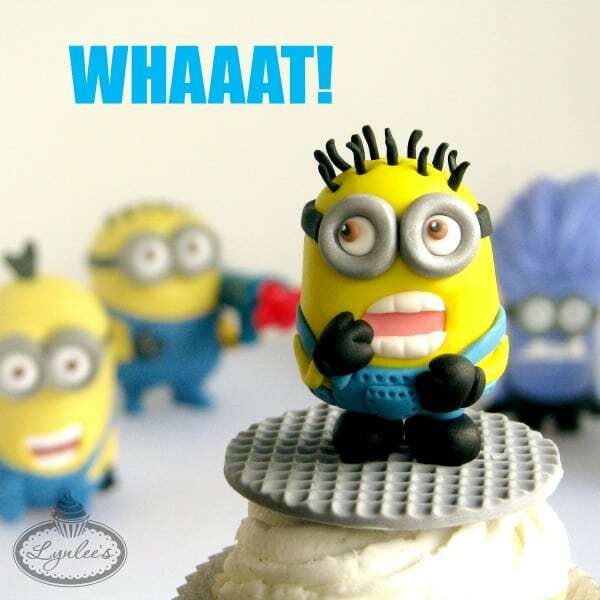 The incredibly talented Lynlee shares a tutorial for making these cute minion fondant characters. Never worked with fondant before? It’s never too late to learn! Lynlee provides a very detailed step-by-step tutorial. These fun little minion jelly beans by Party Pinching look like a food craft that I could tackle. They almost look too cute to eat…almost. Push pops are so popular at parties these days! 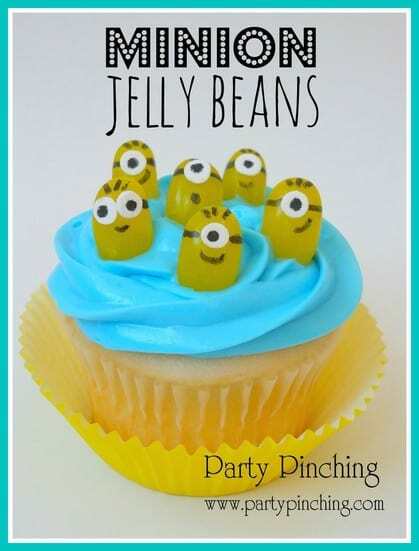 Tonya shares a free printable and tutorial for making these super sweet minion push up cupcakes. A party wouldn’t be the same without some fun games! Emilie of Plucky Momo shares a tutorial for making your own minion bowling game. It looks like just as much fun to make as it would be to play! 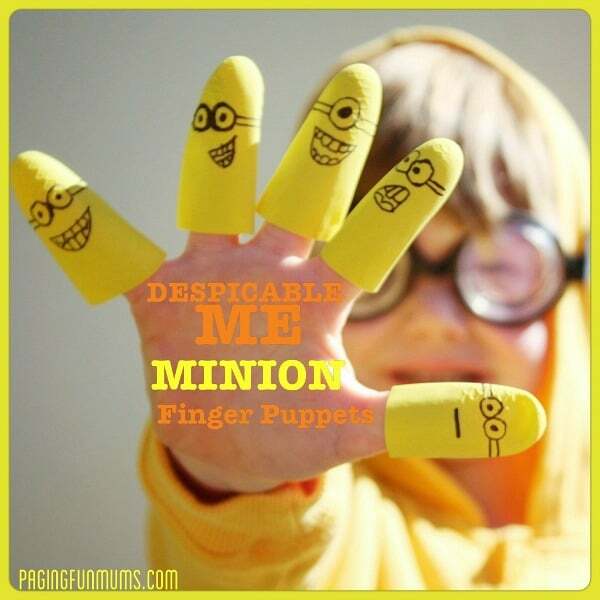 Paging Fun Mums has such a creative craft idea that kids of all ages can enjoy – Minion Finger Puppets! Super clever, right?! Thank you to all of the fabulous ladies who agreed to be featured in this post. For more creative party ideas, visit our Birthday Party page. You can also follow us on Facebook, Twitter, Pinterest and Bloglovin’ for the latest creative ideas. Oh gosh, so much cute. Love those push up cupcakes!!! Yes, these are some pretty fabulous ladies!